The following blog is adapted from an article by Erin Schumaker which appeared in the The Huffington Post, 23 February 2016, entitled “Most Clinical Trials Have a Glaring Flaw Before They Even Begin” : A lack of diversity in medical studies is hurting science and patients. If you’ve ever taken antibiotics when you were sick, underwent a medical procedure, or had an immunization shot to keep away the flu, then you’ve been the beneficiary of clinical trial research. Evaluating one or more interventions (e.g., drugs, medical devices, surgical procedures) for treating a condition, disease or syndrome. Finding ways to prevent the initial development or recurrence of a disease or condition. These can include vaccines or lifestyle changes, among other approaches. Exploring ways to improve the comfort and quality of life for people with a chronic illness. Clinical studies help scientists, doctors and patients understand whether drugs and devices are safe for human use and effective. These studies also help to identify which medical approaches work best for certain illnesses or different groups of people. Crucially, individual people groups have contrasting results when exposed to different drugs. So, for example, if your ethnic group isn’t adequately represented in a clinical study, there’s no way for your doctor to be sure if that medicine will deliver the desired outcome. Twenty-three years after the National Institutes of Health created the Revitalization Act to increase the number of women and minorities in medical research, these groups remain vastly underrepresented in clinical studies. For example, Black Americans comprise 13.2% of the population but just 5% of clinical trial participants, according to Karen Brooks, Ph.D., Senior Director of Clinical Operations at Adare Pharmaceuticals. Hispanics are 16% of the population, but only 1% of trial participants. Meanwhile, 67% of Americans are white but represent 83% of clinical trial participants. 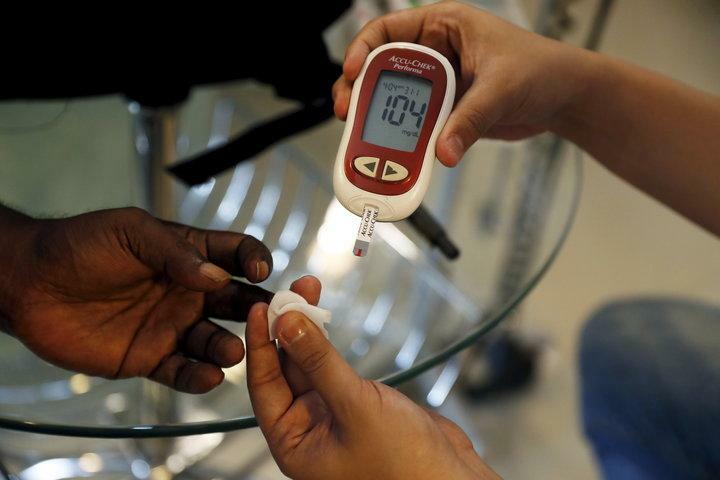 Data shows that Black Americans are almost twice as likely to have Type 2 diabetes as white Americans, but they are much less likely to be included in studies that test the safety and efficacy of diabetes medication. “The burden of diabetes and its complications falls unfairly on minorities, yet they are underrepresented in major clinical trials of new therapies and devices,” said Dr. David Kerr, an endocrinologist. Kerr and his coauthor, Charis Hoppe, reviewed data from seven Type 2 diabetes drug trials assessing cardiovascular risk and found that in five of those trials less than 5 percent of the participants were black. Why Does Diversity in Clinical Studies Matter? According to the FDA, increased clinical study diversity could help researchers improve treatments for diseases that disproportionately affect individual populations and ensure the safety and effectiveness of new therapies for everyone. For example, approximately 25% more blacks than whites die from chronic heart disease but are dramatically underrepresented in cardiovascular clinical studies. Another reason diversity is so important in clinical studies is the discovery of the social determinants of health. Ethnicity might not directly matter at a genetic level, however, there are some racial and ethnic categories that can serve as a proxy for other differences. Those differences, known as the social determinants of health, are the structural factors that influence people’s lives, such as socioeconomic status, education, physical environment, employment, social support and access to health care. Some differences in clinical research outcomes may be based on genes, but there are probably more differences based on environmental factors. NPR put the problem in perspective in a 2015 expose titled: “The Blood Thinner” clopidogrel, or Plavix, doesn’t work in the 75 percent of Pacific Islanders whose bodies don’t produce the enzyme required to activate the drug. For most Pacific Islanders, taking the medication is like taking a placebo. Part of the problem is that white researchers in academic centers tend to recruit white study participants. According to the NIH, less than 2 percent of principal investigators on National Institutes of Health-funded research project grants are black. Another reason for low enrollment by minorities is access to the studies. If participants don’t live near the location of the study, then there are transportation and child care costs to consider. Time off can be an issue as well, particularly if a participant works more than one job. These issues disproportionately affect minority communities, which further reduces minority participation rates. Some minority groups also have trust issues with clinical researchers because of past transgressions by the establishment. For example, the African-American community has the fear, grounded in history, that they will be exploited by white researchers as they were in the Tuskegee Syphilis Experiment conducted between 1937 and 1972. The National Minority Quality Forum (NMQF) is also attempting to address the diversity discrepancy. “We have billions of patient records to help us understand who and where populations are that have diseases, and rare diseases that hit Americans,” says Gary Puckrein, Ph.D., president and chief executive officer. The NMQF is a research and educational nonprofit organization committed to improving the healthcare of high-risk racial and ethnic populations. While President Bill Clinton’s National Institutes of Health Revitalization Act required federally funded research to include women and minorities in 1993, loopholes in the law mean it’s been loosely enforced. If we fail to enforce inclusivity, the future of medicine will continue to be a sphere where only a small percentage of patients receive the best treatments and, in turn, have the best health outcomes. Precision medicine is on the cutting edge of research today, but in most of the precision clinical studies diversity is absent. One solution being heavily pursued is the recruitment of more minority study coordinators to care for minority communities, which will increase cultural competency, community comfort, and patient well-being. To that end, the Clinical Studies Division of the Wallace Medical Group has decided to help address the diversity discrepancy in Los Angeles among clinical study participants. Our staff devotes more time and effort into not only understanding the disparity of ethnic representation but also in building relationships with community organizations to help overcome them. If you would like to know more information, please contact our offices at (310) 652-8460 or by email at info@wallacederm.com.